Ferdinand Pautrot was considered by most individuals in the 19th century to be the finest sculptor of birds during his lifetime. His portrayals of birds are so realistic that they seem to come to life right before your eyes. 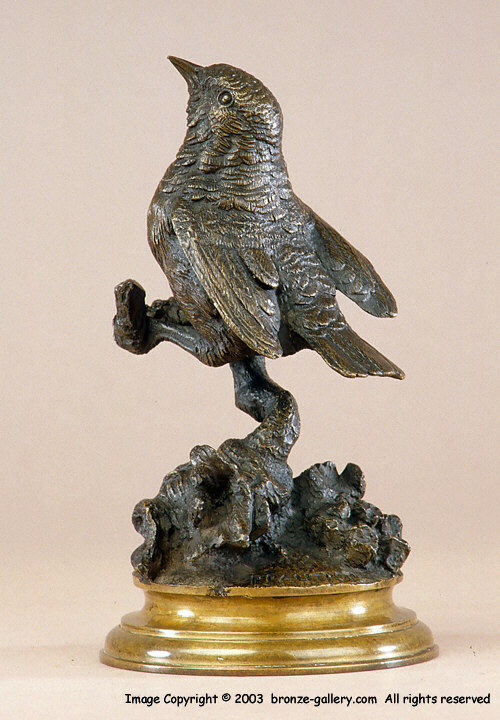 Pautrot had the uncanny ability of capturing a bird at a moment in time. 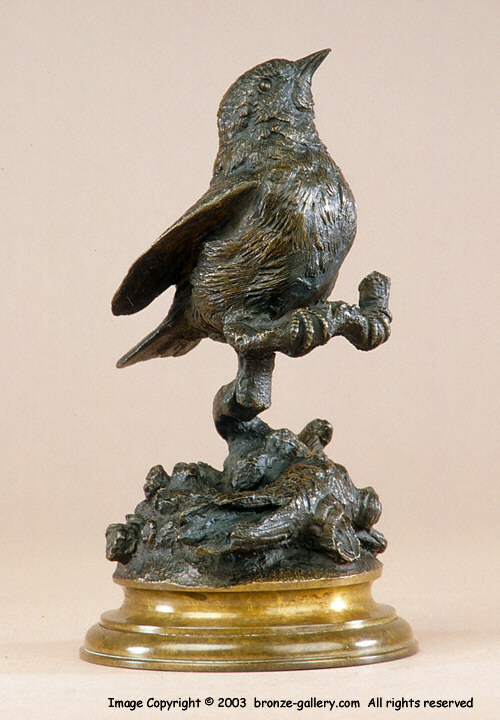 Pautrot's favorite bird subjects were the small song birds of France and this beautiful bronze sculpture of a Sparrow sitting on a branch is one of his more popular models. This lovely single image of a Sparrow is wonderfully cast and detailed. It is finished in a deep brown black patina with a gold dore rimed base.